11. jaanuar / Tartu selected Mika Keränen as its second City Writer. 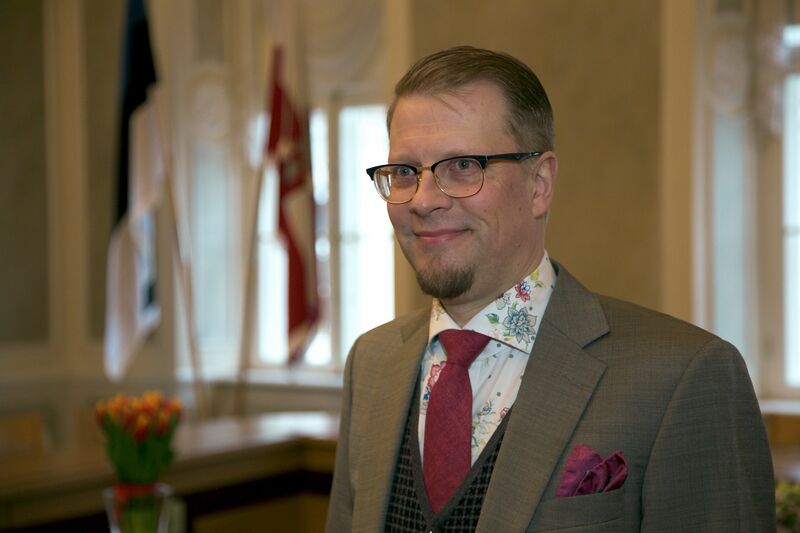 On 10 January, Keränen was presented with the City Writer Grant at a festive ceremony held in the auditorium of Tartu City Hall. The one-year Tartu City Writer Grant is awarded to a writer engaged in fiction or non-fiction, who stimulates literary life in Tartu and helps to shape the city’s reputation as an internationally recognised, literature friendly city. Five applications were submitted for the grant, which is awarded in cooperation between the City of Tartu and Tartu Kultuurkapital SA. The City Writer was chosen from among the applicants by an expert committee, which included representatives from the Tartu Chapter of the Estonian Writers' Union, the Estonian Literary Museum, the University of Tartu Department of Literature and Theatre Research, the Oskar Luts Tartu City Library, Tartu Kultuurkapital SA, and the city government. In 2018 the grant amount is EUR 11,280, paid out in monthly instalments of EUR 940. Tartu named its first City Writer, Kristiina Ehin, in 2017. The grant is being awarded for the second year in a row and is one of Tartu’s activities as part of its membership in UNESCO’s City of Literature programme.